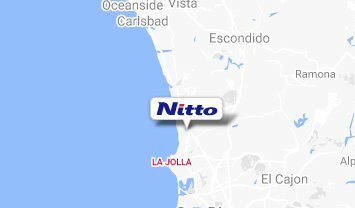 Thank you for visiting the website of the Nitto Denko Corporation and all of its affiliate companies (hereinafter referred to as the "Company"). In order to safely, securely, and properly use this website, we ask that you only use it after reading the following items and agree to the terms set forth therein. Although you may choose the pages you wish to link, contents of this website are updated frequently and links are subject to change without notice. Therefore, linking to the home page (https://www.nitto.com) is recommended. This website utilizes an information transmission technology called "cookies." Cookies refer to a small amount of information transferred to a user's computer from our website. By storing this information on a user's computer we can recognize when that user has accessed our website again and can provide relative content to that user in an efficient manner. You may modify your browser's settings to display a warning when receiving a cookie or to disable receiving cookies completely. However, certain services provided by this website may not be accessible if cookies are disabled.